NEW YORK (Reuters) - Morgan Stanley Chief Financial Officer Ruth Porat on Wednesday called on government and corporate leaders to encourage the promotion of women into senior business roles, saying the number of women in top positions at U.S. corporations is "an embarrassment." Porat, one of the most powerful women on Wall Street, said she supports a law proposed by New York Senator Kirsten Gillibrand that would create national paid family leave, and help women to have children without leaving the workforce. She also encouraged businesses to implement protocols that ensure more women are promoted to senior ranks or given positions on boards of directors. "Although the statistics in the U.S. are meaningfully better than they were 50 years ago and better than in many other markets, they're not where they should be and in fact I would say they are an embarrassment," Porat said at an event held by the Japan Society in Manhattan. Porat's comments come at a time when more women business leaders are speaking out about gender issues in the workplace. That conversation was sparked in part by the publication last year of "Lean In," a book by Facebook Inc Chief Operating Officer Sheryl Sandberg, who argued that women need to become more aggressive about advocating for their rights. Porat said she agrees with Sandberg's philosophy, but argued that it is not always possible for women to succeed if laws and corporate structures thwart their efforts. "If a woman 'leans in,' but is leaning against a door that is nailed shut, no amount of leaning will bust down the door," she said. "So I think we must hold our organizations accountable where they control the doors by demanding clarity and transparency around succession planning." Porat started at Morgan Stanley in 1987 as an associate and rose rapidly through the ranks. She ran investment banking businesses and acted as a key adviser to banks and governments during the financial crisis before taking on her current role in 2010. Analysts, recruiters and insiders consider her to be one of a handful of people who could eventually succeed Chief Executive James Gorman. But in 1996, as she was being promoted to head Morgan Stanley's technology investment banking division, Porat said one of her colleagues discovered old documents indicating several men who were reviewing her as a potential job candidate a decade earlier "expressed concern that I just wouldn't have the stamina to make it past the associate level," she said. "They were clearly overruled because I was hired and I clearly proved them wrong," she said. "But what really struck me then and I think of often is that even with strong credentials and what some have called a pretty absurd drive, I didn't represent the image of what they thought of someone who would make it beyond the associate level." Porat said she had what she called "sponsors" who helped her succeed. In an interview with Reuters after the event, she identified former Morgan Stanley investment banker Robert Greenhill, former CEO John Mack and Vikram Pandit, who was a senior Morgan Stanley executive until 2005, among those who advocated for her advancement. 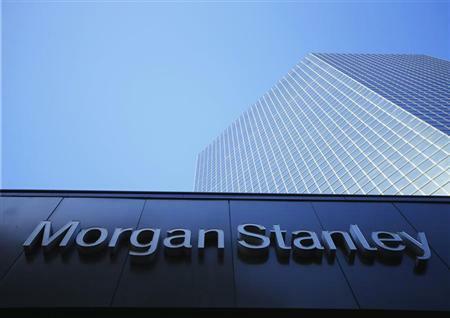 Morgan Stanley now requires its business heads to identify minority candidates, including women, who could be promoted as part of succession planning, Porat said. If leaders cannot identify enough diverse candidates to hit certain goals, then they must poach people from other groups internally or hire from the outside to meet those targets, she said. Those targets are set for moral reasons as well as business reasons, Porat said. She cited research showing companies with more women in senior roles or on boards have higher profits and stock prices. Clients also say they want to see more diversity among Morgan Stanley bankers and salespeople, she said. "It's a business imperative," she said. "It enables you to win more in the marketplace."